HomeBulletin.net is a free service designed to help you find moving companies and get free quotes for quick and easy price comparison. 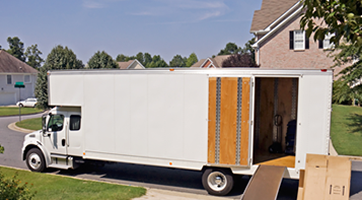 Moving or relocating doesn't have to be frustrating, complicated or expensive - HomeBulletin.net can simplify the process of moving and save you time and money, helping you make the right choice in selecting a moving company. The process of researching various moving companies, then gathering and sorting the information is time consuming and can take days. With HomeBulletin.net, you are now just a few clicks away from obtaining quick moving quotes to compare. In no time you will receive information and options that will help you choose affordable moving services that are right for you. Our network of local and long distance moving companies are all pre-screened, insured and fully licensed by State and Federal Dept. 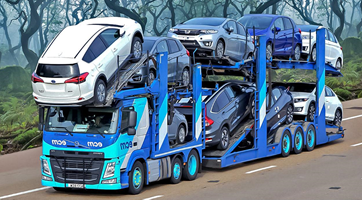 of Transportation so you can expect nothing less than an outstanding moving experience. Whether you're moving around the block, across the country, or even around the world - HomeBulletin.net will match you with professional movers in your area that meet your budget and needs and can handle your move from start to finish. The goal of HomeBulletin.net website is not only to provide you the ability to compare moving quotes from moving companies, but also with the information you need for a smoother move to your new home or business. Check out our comprehensive moving guides catalog, helpful moving & packing tips, articles, tools and our complete moving checklist. In addition to residential moving services, HomeBulletin.net offer free quotes and information on auto transport, international moving Companies, storage facilities, self-moving services, corporate and commercial moving companies and more. Check out our lowest priced moving boxes and buy a wide range of packing supplies online shipped free nationwide. Simply fill out our quick, no obligation quote form, get an instant price and qualified moving companies will contact you in no time to compete for your business. With our new and improved database of licensed moving companies you will be able to view a detailed list of movers matched based on your request.